Living in the country I see wild animals on a daily basis. Unfortunately, there are times that an animal gets hit by a car. One day my husband and I were on our way home and we were shocked to see a barn owl sitting in the middle of the road. We stopped and waited to see if the owl would just fly away, but it sat there even after my husband honked the horn. So we got out of the car and walked up to him. He sat there looking dazed and confused. Fortunately, we had a bath towel in the truck. I gently placed it over him, lifted him, and wrapped both sides underneath his feet. After a short drive home, we were able to place him in a box for easier transportation. 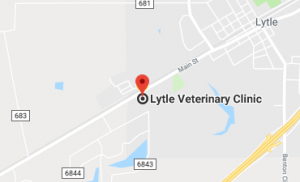 I took him to the Lytle Vet Clinic and spoke with Dr. Broach about the owl not being able to fly. She suggested taking him to the Kirby Animal Hospital where he would be able to get the care that he needed. It seemed like a long drive there, but it was well worth the trip. 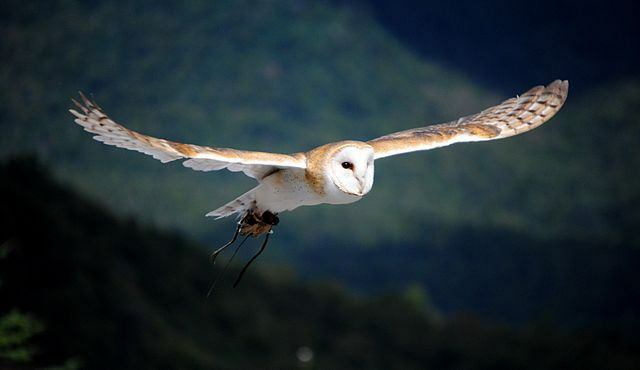 They are involved with the rescue and rehabilitation for birds of prey. After a quick look over they said he was still a very young bird. They asked where exactly we picked him up because they would need to release him in the same area when he was healthy. There was a room to my left with large cages that had all kinds of birds of prey in them. I thought to myself, it must take a lot of time and money to take care of so many birds that need help. On our way out of the clinic, I asked where they got their money for such an undertaking. They informed me that they did get their money from donations. I dug into my purse and pulled out the money I had available and handed it to the assistant. She thanked me and we left the owl there, hoping one day, he would be free again. If you find an injured animal please contact the appropriate authorities.